The last reservation of this item will conclude on July 17. For rentals that require shipping or a pickup at a non-headquarter location, please select a later date for your arrival. Headquarter offices are the only locations that can accept a same-day reservation, as transit time is not calculated in this date. The Tamron SP 24-70mm f/2.8 Di VC USD Lens for Canon is a mid-range zoom that provides a wide-to-telephoto view that's flexible and practical. It is equipped with Vibration Compensation that is held in place with steel balls to provide the smoothest correction and quickness required for tracking and handheld low light shooting. The Ultrasonic Silent Drive allows this lens to be used for video projects as well and delivers smooth, quiet AF performance. 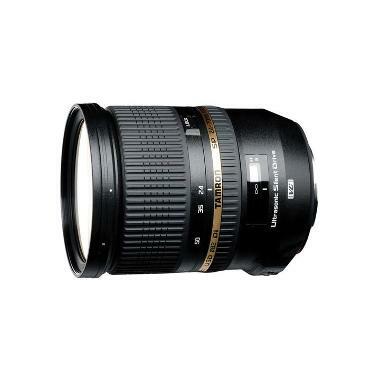 This lens is ideal for events, vacations, portraits, street photography, and candids.